Rechargeable car jump starter battery replacement. So, my jump starter decided to die on me. I managed to remove the battery and I'm guessing it is the problem since the device is not holding power any more. When recharged the test button works in the first try for a moment then no charge is indicated in further tests. It's a 12V 9Ah 100A battery. Should I get the same or something higher? How much higher can I use without harming the car's electrical system? My car uses a 12V 88A battery. Re: Rechargeable car jump starter battery replacement. You wont harm the car by using a higher capacity battery. 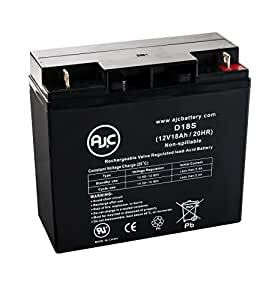 Obviously you will get a 12 volt battery but you can increase Amperes per Hour (Ah) and the current capacity (A) of the battery your car will only draw what it needs. Your problems will come with the size. Higher capacity batteries tend to be physically bigger so, probably, wont fit in the box. Also whatever you use to charge that battery will have to be able to charge a higher capacity battery. Most chargers though, apart from the very cheap ones, should be able to cope. I have to say that if you need to use a jump starter on a regular basis you have got something wrong with your car electrics unless you are a mechanic and spend a lot of time starting other people's cars. Maybe you already know this, but I'll explain just in case. 9Ah means your car can give out a total of 9 Amps (or Coulumbs/s) during an hour. This can also be measured in Coulombs. 100A is the maximum current your battery can provide at any given time. So, if you looked at the link, you'll know that as long as the voltage remains the same, and the resistance desn't change (which it won't, since you are not touching the system), the maximum current will stay the same. You could have a 12V 9999999Ah and 999999999A battery and it wouldn't change a thing, except it'll last longer. To be clear, I'm talking about the rechargeable battery inside the jump starter device. I dissembled the jump starter and removed the battery to replace it. Why don't you just purchase the same size battery as a replacement? There are plenty of places on the internet that sell those batteries. I have a similar device and replaced the original battery with one I ordered on-line. It was a few years ago but the only issue I had was that the battery terminals were slightly different but still workable. Nice. I was wondering if a higher capacity (or whatever-ity) replacement battery could make a difference in jump starting quality. With the last one I had to leave the jump starter connected to the battery for sometime for the ignitions to start. It felt like The jump starter itself wasn't powerful enough to start the engine but barely enough to charge the batter after sometime for that. I'll just find similar specs battery then. Thanks. They're junk SG. Don't waste your money on them. They do not keep. I had a 1000 amp and a 500 amp that didn't last very long. Does that include both rechargeable sealed lead-acid something and lithium something battery based jump starters? I wonder if lithium rechargeable batteries for jump starters are as practical as those in cell phones and laptops.